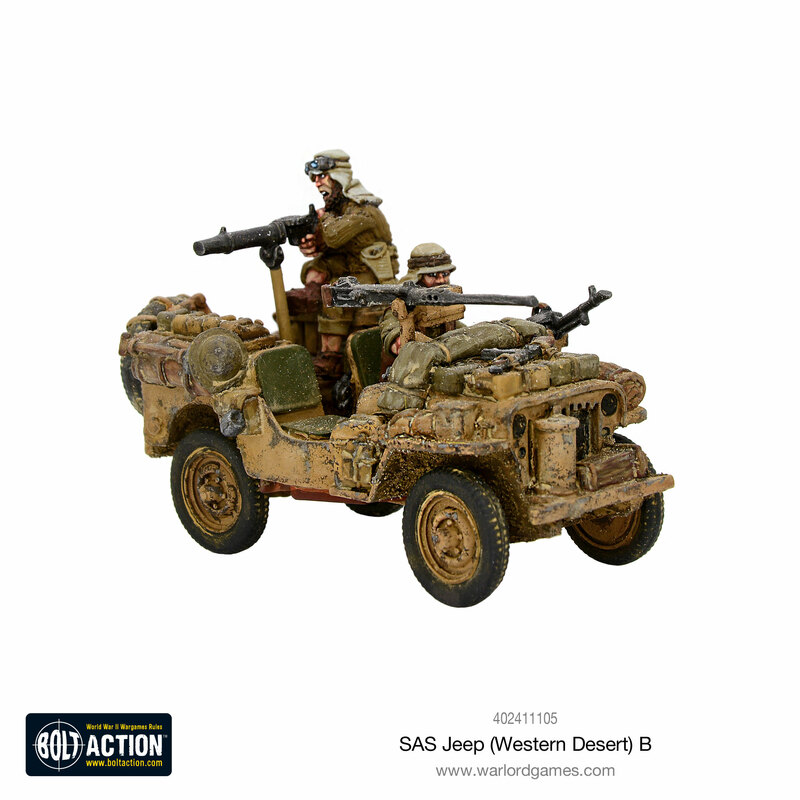 Bolt Action gets two new jeeps this weekend. Unleash a surprising amount of firepower in a compact and mobile frame. 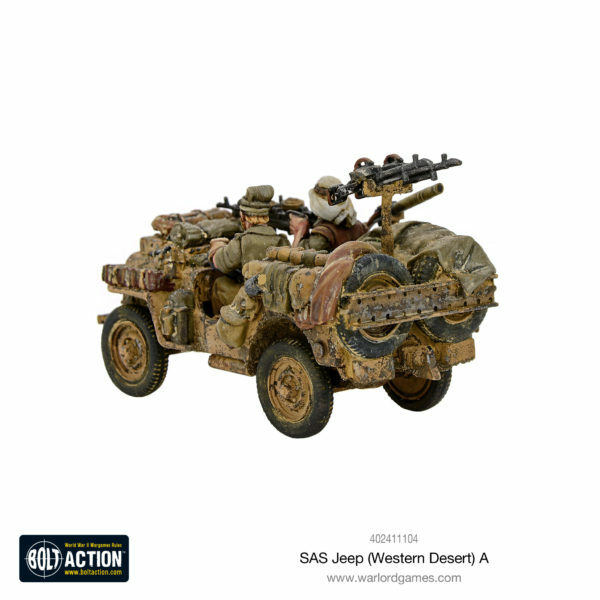 Come witness the majesty of the SAS Jeeps. 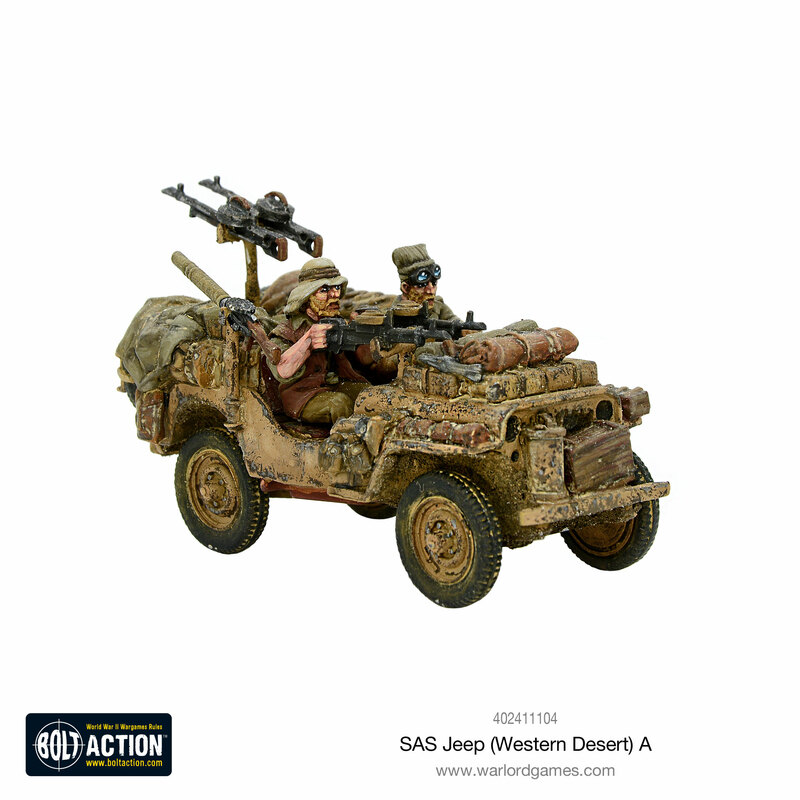 Bringing an overwhelming amount of firepower, this new SAS Jeep delivers a compact but powerful punch! 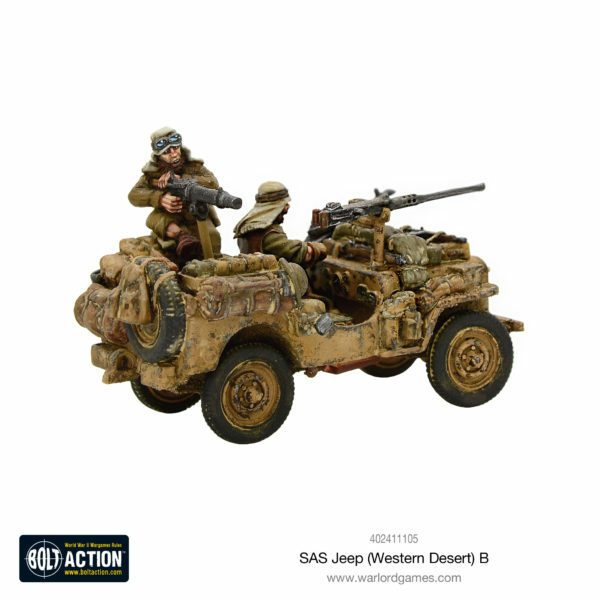 The SAS were quick to see the potential for a rugged vehicle such as the Keep, and in their usual manner added as many guns as it could possibly carry. 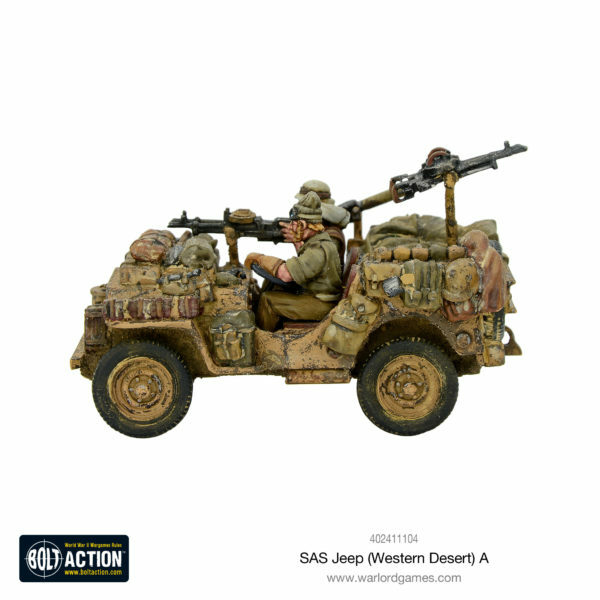 Although vulnerable to small arms fire, with 4 machine guns this SAS jeep would make quick work of any exposed infantry unit! 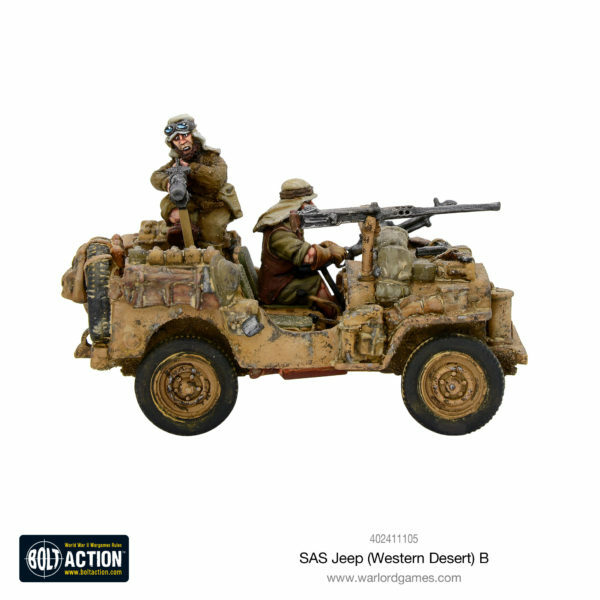 Fighting fire with fire, the British SAS jeeps and the Italians AS42 Sahariana go head to head as they race across the sand dunes, splattering the sand with machine gun rounds and oil! 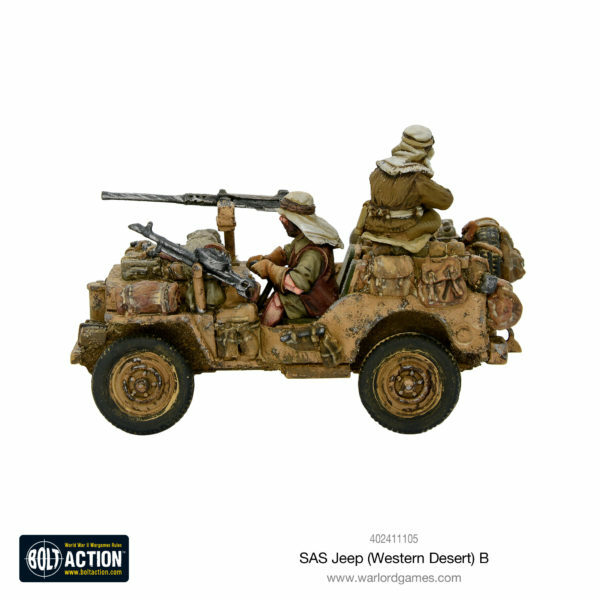 Enjoy your jeeps, watch out for creeps, listen for drums in the deeps, be careful near where groundwater seeps, make sure you pile things on heaps, and most importantly get plenty of sleeps.